I rated this story 4 out of 5 stars (and quickly purchased the next book). Book #2 in the series is Bittersweet Magic. This is Piers’ story (you meet him in the first book). He meets Roz, whom I just love. She’s tough and has attitude. I don’t think she’s scared of anything either. I rated this one 4.5 out of 5 stars. Would have been a bit higher (as in a 5) if the battle would have lasted a bit longer. Granted, the way Ms. Croft had the combatant win (I’m sorry for being so cryptic, but I don’t want to give anything away), makes perfect sense why it happened the way it did. Just a nit-picky comment from me. 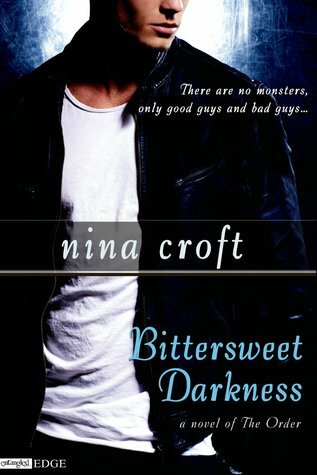 I just read the sample of book 3, Bittersweet Darkness. So excited to read more. This is Asmodai’s story. He’s been in the p revious two books; he’s also Tara’s father and a big bad demon. This is sure to be an exciting read!! I imagine this one is going to be at least a four and probably won’t take me long to read. You can find more information on Ms. Croft and her books here. Be sure to check out the hotties of her Order series! You won’t be disappointed!